It is possible to purchase a custom-made or used X-raid vehicle. Racing cars can also be rented for individual rallies or an entire season. X-raid cars are some of the most successful cars for cross-country rallies. They are the product of thousands of test kilometres and 15 years of continuous development work. However, there is no better test than actual race kilometres. Our vehicles take part in several rallies and bajas every year and have proven that they are on the winning side. 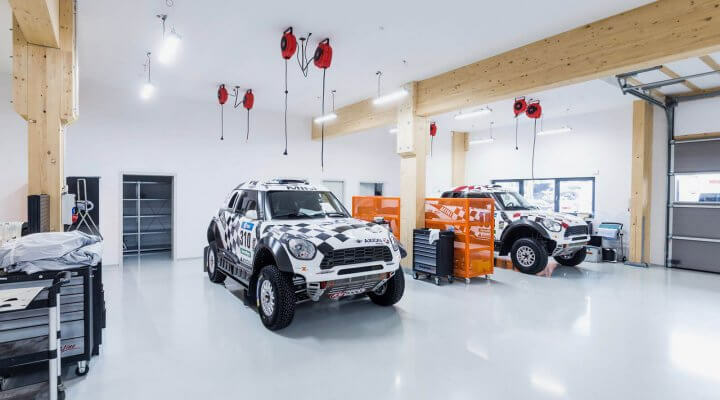 Since the MINI ALL4 Racing made its debut at the 2011 Dakar Rally, no fewer than five World Cups for cross-country rallies, four Dakar rallies and countless races have been won. The figures speak for themselves. 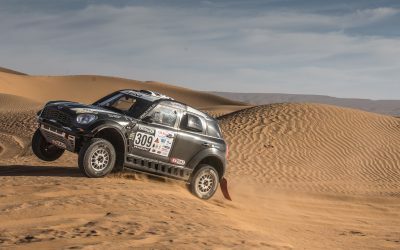 Despite an overall arrival rate of only 47 % for all Dakar competitors in the 2014 Rally Dakar, all eleven MINI ALL4 Racing cars reached the finish line. X-raid cars provide an unprecedented finish rate. With 234 MINI ALL4 Racing and MINI John Cooper Works Rally entries to races (January 2011 – January 2017) only four of them experienced a technical DNF. This results in a record number of 98,29 % entries without a technical DNF in 6 years. This makes the X-raid MINI the most reliable vehicle in cross country motorsport. A competitive approach is not possible without the right support. We offer trucks for rent, for single events as well as a whole season.